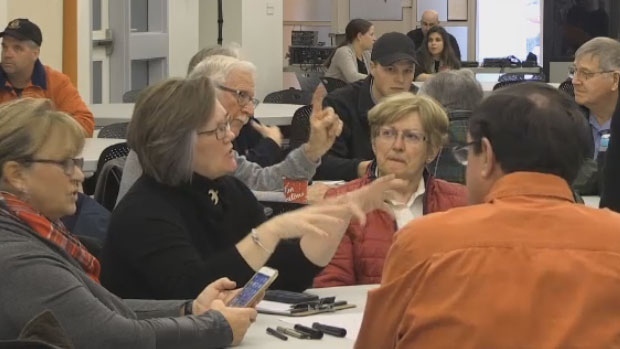 The first of five public brainstorming sessions on last year’s historic flood was held Saturday in Quispamsis, N.B. A chance for New Brunswickers to get together to discuss the province’s response, both the good and the bad. “By the time the sand and sandbags were available here in the community, the water was already a couple feet deep in our backyard, and you can’t sandbag in water that’s more than a couple inches deep,” said Quispamsis resident Wendy Scott. “For my report and the EMO’s report, we get a chance to listen to how EMO’s response affected residents and that’s really what we’re here for,” says Ian Becking of Calian Group Limited. 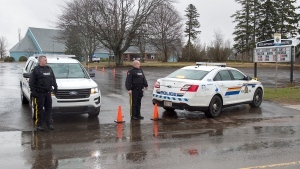 About 12,000 properties were affected by the flooding, and nearly 3000 damage reports were filed with New Brunswick EMO. And properties weren’t the only thing that was damaged. “The road is terribly impacted by the flood. It’s impacted the erosion on the banks,” says Perry Rivera-Woolsey. Now that spring is officially here and the snow and ice are beginning to thaw, a watchful eye is being kept on river systems in New Brunswick, with last year’s historic flood still fresh in the minds of many. “Extreme flooding is going to be part of our reality in Southern New Brunswick, so I am watching the water levels,” says Rothesay resident Ann MacAllister. New Brunswick EMO officials say there’s no longer concern for flooding this weekend, but flood season is still just around the bend.